Have you ever accidentally cut two left legs while making pants? Sewn those fabric pieces wrong sides together or backwards? Mal and Zede have too. 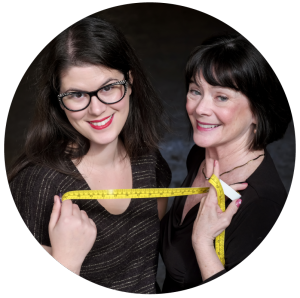 Through their combined sewing experiences they have learned a thing or too about making sewing mistakes and thought they would pass all those learned tidbits from those trials and tribulations along to their wonderful listeners. Learning from mistakes is a good thing and shared knowledge can be really helpful. 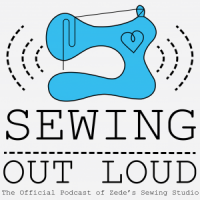 We’d love to hear any tips and tricks you may have for avoiding mistakes in the sewing room. 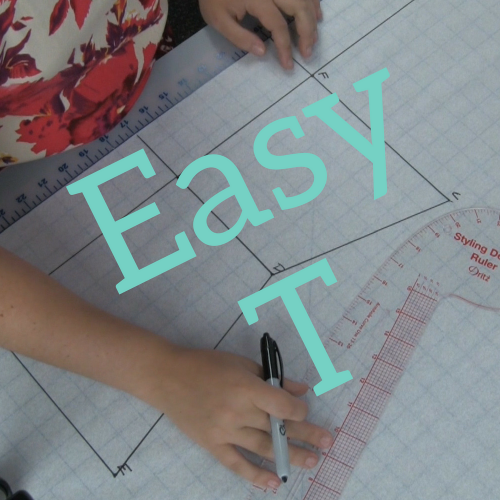 The Easy T Class is the first online sewing class from SewHere.com. We’re excited to offer an introductory course on pattern drafting, because we know that one of the biggest obstacles in sewing your own clothes is getting the right fit. Instead of downloading a pattern, taping it together, and then cutting it apart again to try and get a perfect fit, try taking your own measurements and drafting this simple top. The Easy T is a semi-fitted, short-sleeved shirt made from a lightweight, woven fabric. While the possibilities for customization are endless, we recommend sticking to the basics for your first custom pattern. I love you guys! You’re very inspirational and you make sewing fun! Don’t ever stop the vids and podcasts!!! I’ve bookmarked several podcasts as well as videos. As a result of your podcasts I purchased a combo serger/chainstitch/coverstitch machine and love it! Well, thanks Stan!!! We’ll keep it up!